The Patent, Design and Trademark Act has authorized the Department to protect the industrial property like patent, design and trademark; Patents shall include new invention; principles and formulae; Design shall include physical shape and appearance whereas Trademark shall include the word, sign, picture or all three or combination between them to differentiate the product from the others. The Department shall act as semi-judiciary unit in case of protection of industrial property as well as in the settlement of disputes and other administrative procedure. The Department shall also act as a focal point of all the international organization/institution including World Intellectual Property Organization (WIPO). 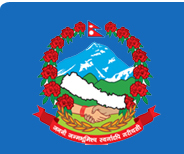 Besides the membership of WIPO, Nepal has received a membership for Paris Convention for Industrial Property. © 2008 Department of Industries. All Rights Reserved.